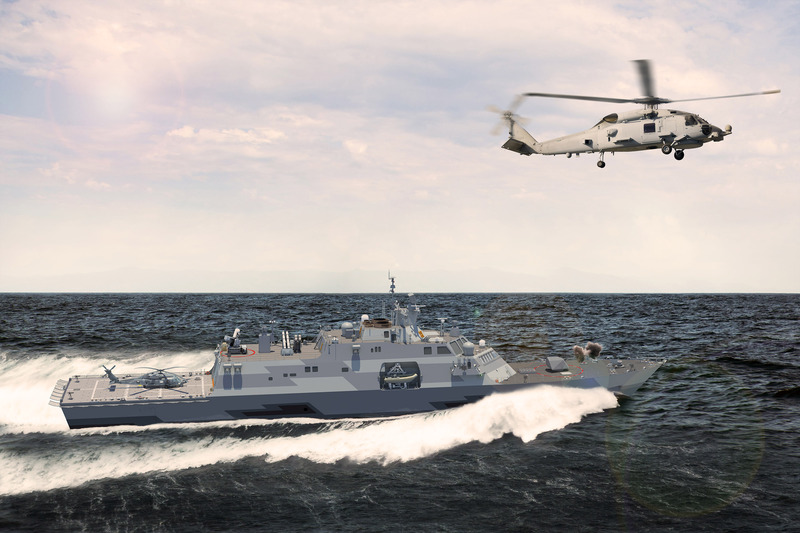 Saudi Arabia is set to pull the trigger on a $6-billion deal to purchase four Lockheed Martin-built frigates based on the company’s Freedom-class Littoral Combat Ship, as part of a major Foreign Military Sales case, USNI News has learned. The deal – part of the overall $110-billion FMS case – is intended to be announced during President Donald Trump’s visit to Riyadh on Saturday, administration sources confirmed to USNI News on Friday. The purchase of the four frigates for the Royal Saudi Navy is set to be the centerpiece of a refresh of the country’s Eastern Fleet as part of the Saudi Naval Expansion Program II. SNEP II has been in the works for more than a decade and is estimated to cost a total of $20 billion. Representatives with Lockheed Martin declined to comment on the sale. “Foreign Military Sales are government-to-government decisions, and the status of any potential discussions can be best addressed by the U.S. government,” a spokesman told USNI News. In addition to the hulls, the $6-billion will include spares, training and other logistics items for the program. Last year, USNI News reported on the details of the proposed configuration of the Saudi Freedom-variant. The primary difference between the Freedom-class and the Saudi-variant is the lack of modular mission space found in the U.S. version of the Littoral Combat Ship. The frigate will be built around an 8-cell Mk-41 vertical launch system and a 4D air search radar. At about 4,000-tons, the frigate can field a crew of 100 to 130. It runs on a power plant of two Rolls Royce MT-30 gas turbines and two Colt-Pielstick diesel engines. The ship will field eight RGM-84 Harpoon Block II anti-ship missiles (ASM), anti-submarine warfare (ASW) sonar suites, and torpedoes. Saudi Arabia initially “balked at the price tag for the [four ship] package – thought to be more than $3 billion but less than $4 billion – and were unhappy with the time it would take to complete detail design of the ships, carry out systems integration, build the vessels, deliver them and install infrastructure improvements in the kingdom,” reported Defense News.